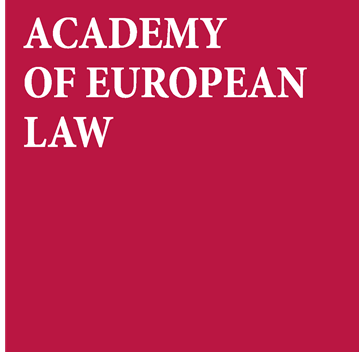 The Academy of European Law (AEL) holds two summer courses each year, on Human Rights Law and the Law of the European Union. The two summer courses – featuring distinguished lectures, a general course, and a series of specialized courses – are open to advanced students of law or related fields, academics, lawyers, and practitioners. The Human Rights Law course will explore the challenges between human rights and the digital age, and comprises a General Course on ‘Can Human Rights Survive the Digital Age’ by Philip Alston and Christiaan Van Veen, five Specialized Courses on ‘Legal Mobilitization for Human Rights’, and a Distinguished Lecture by Christine Chinkin. The Law of the European Union course will focus on contract law in the EU, and comprises a General Course on ‘Contract Law and Justice in the European Union’ by Martijn W. Hesselink, five Specialized Courses on ‘Data at the Boundaries of Law’, and a Distinguished Lecture by Gerard Hogan. The programmes are available online and the call for applications is open. Deadline for applicants: 12 April 2019. Applications are considered on a rolling basis. Apply now for an early decision.